Tissue plasminogen activator, or tPA, is a powerful clot-busting medication that can stop an ischemic stroke in its tracks. After suffering an ischemic stroke, and only a short time after symptoms began, tPA may be used. When a blood clot is stopping blood flow to the brain, a powerful clot-busting medication called tPA is used to dissolve the clot and restore blood flow. The drug must be given within 4½ hours after the onset of symptoms, or the risk of causing unwanted bleeding may outweigh the benefit. The earlier tPA is administered within that time period, the better the chances of a favorable outcome. Knowing a patient’s vital signs, and armed with the results of a CT scan, ECG, blood tests, and history of stroke symptoms including time of onset, a physician can make a diagnosis. If the diagnosis is ischemic stroke, and only a short time has passed since symptoms began, tPA may be used. 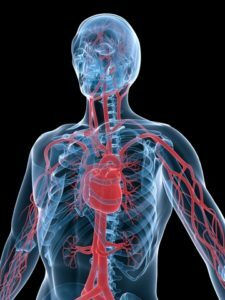 The technique for treating blood clots causing stroke is called intravenous thrombolysis—in lay terms, “clot-busting.” Thrombolysis is the combination of two Greek words, “thrombus,” meaning blood clot, and “lysis,” meaning to dissolve or break apart. The body has a natural mechanism for doing this through proteins that circulate in the blood. One of these is plasminogen, an inactive protein that the body converts to plasmin, an enzyme that breaks apart and dissolves blood clots. To make this conversion, another enzyme called tissue plasminogen activator (tPA) is required. Blood clotting is a dynamic process. Fibrin filaments act like nets to trap red blood cells and stop the bleeding. As fibrin filaments form, tPA in the serum of the trapped blood begins to adhere to the fibrin, converting plasminogen to plasmin. Plasmin attacks the fibrin filaments, dissolving the net and breaking up the blood clot. Blood clots are broken apart by plasmin as they form. So long as there is sufficient stimulus for blood to clot, clots will form faster than plasmin can break them apart. When the stimulus vanishes, the blood clot eventually breaks apart and disappears. The objective of thrombolytic therapy is to accelerate the removal of a blood clot by enhancing the conversion of inactive plasminogen to clot-busting plasmin. The use of tPA is so effective in treating acute ischemic stroke that it is used in emergency departments throughout the country. Unfortunately, only about five percent of patients who qualify for the treatment receive it. One reason is failure to arrive at the hospital within the recommended treatment window of 4.5 hours. While several tPA drugs can be used to break up heart attack-causing blood clots in the coronary arteries, only one is approved for the treatment of ischemic stroke: alteplase (Activase). It is given by intravenous infusion. About 10 percent of the entire dose is given at one time (bolus), with the remaining 90 percent infused over an hour. 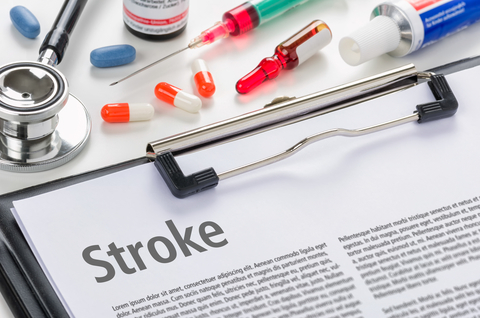 Initially, it was thought alteplase had to be administered within three hours of stroke onset. But when clinical trials showed the drug was safe and effective for a longer period of time, the American Heart Association/American Stroke Association (AHA/ASA) endorsed expanding the treatment window to 4.5 hours. The drug label says that risks are increased when the drug is used in patients over age 75, and its effectiveness in those over age 80 has not been established. But in 2015, the AHA/ASA gave a positive recommendation to tPA use in older patients, acknowledging that risk may be increased, but that it does not outweigh the potential benefit in increasing the likelihood of remaining independent three months after a stroke. The AHA/ASA continues to emphasize that results are better when patients are treated earlier. Patients who receive the therapy within 90 minutes have a better outcome than those who receive it later, even if within the allowed time period. For every 30 minutes that pass before blood flow is restored through a blocked artery, the probability of a good recovery drops by about 10 percent. A danger of thrombolytic therapy is the possibility of unwanted bleeding. Clot-busting drugs cannot tell the difference between a “bad” clot that prevents blood flow to the brain cells and a “good” clot that has been formed to stop blood flow from a ruptured intracranial artery. If the drug breaks down a good clot, a hemorrhagic stroke can occur. Despite careful dosing, intracranial hemorrhage occurs in some patients who receive alteplase. Nevertheless, in appropriately selected patients, the benefits far outweigh this potential complication. For patients diagnosed with ischemic stroke after the treatment window has passed, no medication to restore blood flow has been proven effective. However, some of these patients may benefit from mechanical removal of the clot with a catheter-based device up to six hours after stroke onset. blood clot, blood clots, brain, coronary, coronary arteries, ecg, heart attack, hemorrhagic stroke, ischemic stroke, protein, recovery, stroke, stroke symptoms.